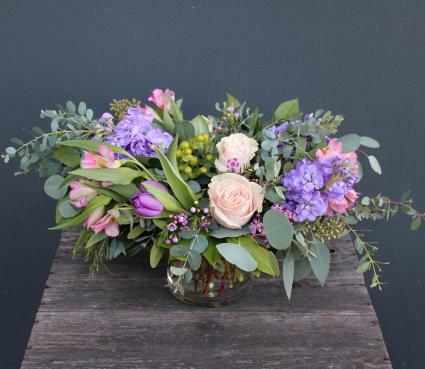 A garden style arrangement in soft pinks and lavenders. 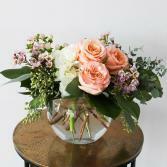 Flowers include roses, stock and hyacinth. 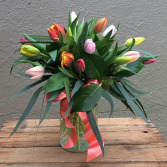 A lovely arrangement of spring tulips in assorted colors and greens in a glass hobnail vase. 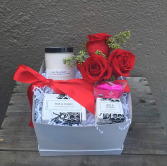 Pamper your sweetheart with soap, a bath fizzy, candle, chocolate and roses.